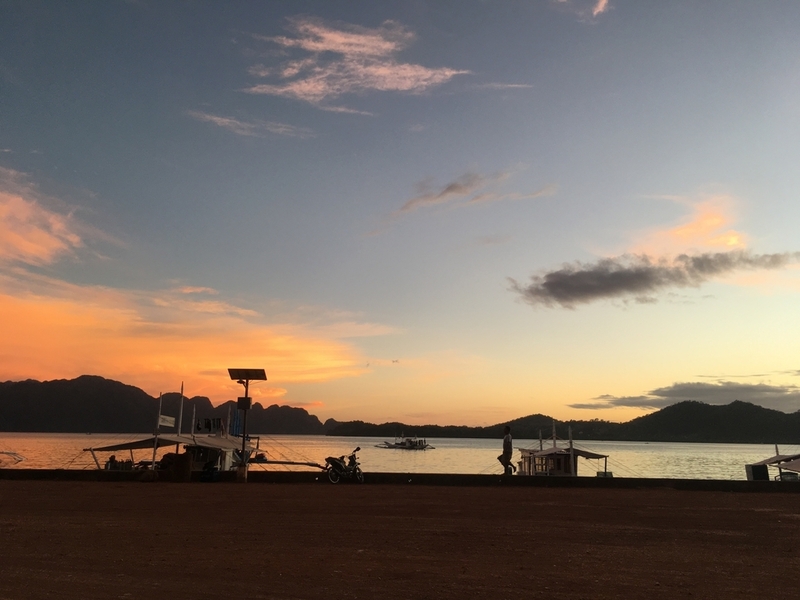 Love traveling: What is in Busuanga Island? In the previous article, I wrote that there are two Corons, one is in Busuanga and the other is an island. Do you remember? 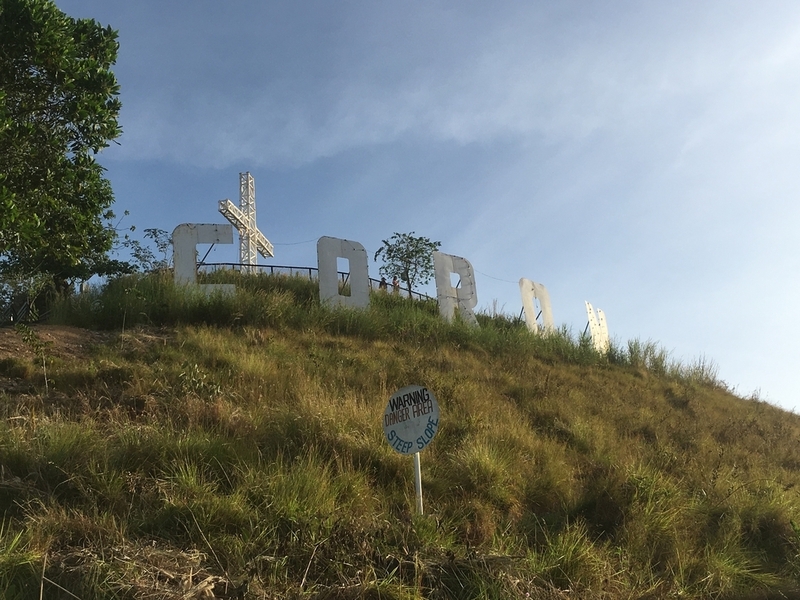 I would like to share Coron town in Busuanga island with you in this article. Let’s check where Busuanga island is first. Busuanga Island is the biggest island among Caramian group of Islands and its location is in the North of the Palawan island. Japan occupied this area during world war II, so you can see the trace of the war in the ocean. 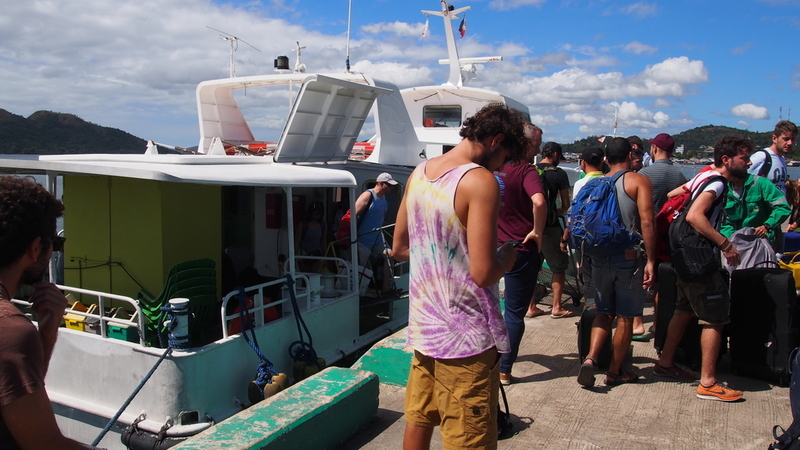 If you are interested how to get to Busuanga island, check this out! 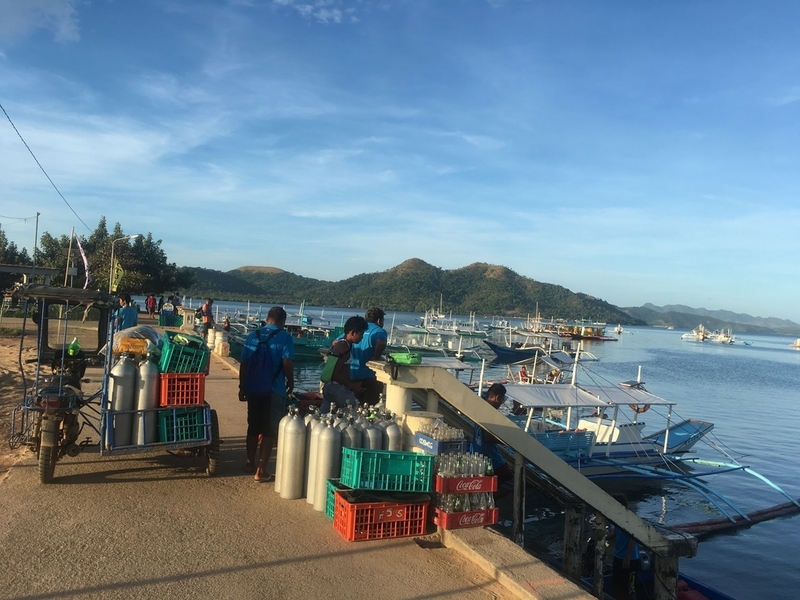 I got to Busuanga island by ferry from El Nido. The departure time was 6:00am and arrival time was before noon. On the ferry schedule, it says the arriving time is 10am. 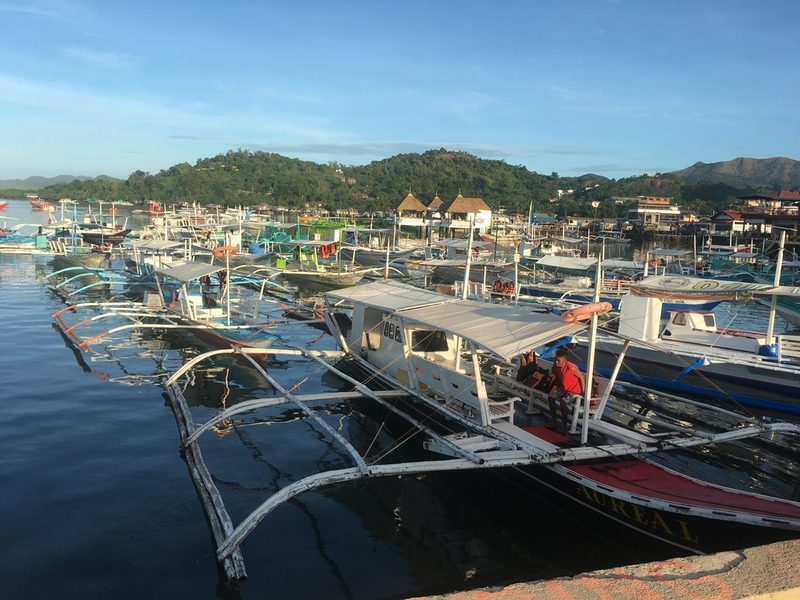 Since Coron town has the ferry port from Busuanga to the other places, many people who are not only Filipino people but also foreign people come here. 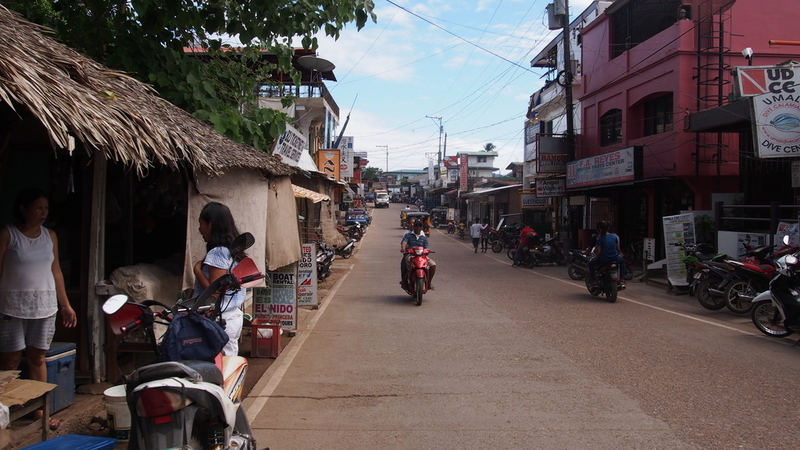 Coron town is the busiest place in Busuanga island. I felt there were fewer people from overseas, compered to El Nido. After arriving at Busuanga island, I headed to the center of Coron town by a tricycle and had lunch first. 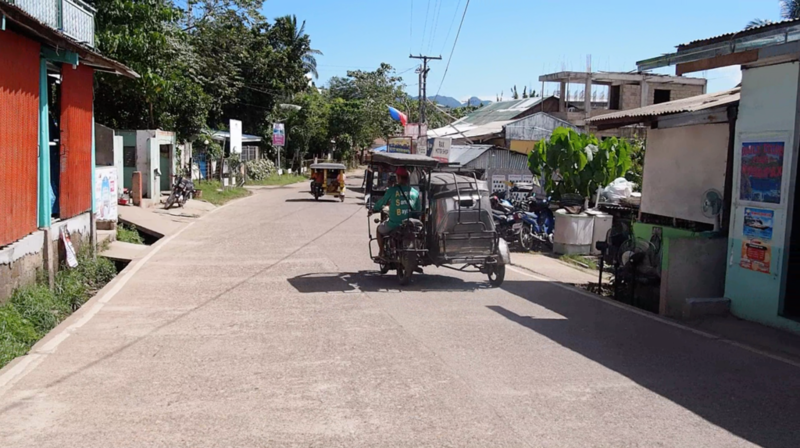 Many tricycle drivers wait for passengers at the ferry port so it is very easy to take one. There are many shops such as restaurants, diving shops, cafes, massage spas and souvenir shops in Coron town. 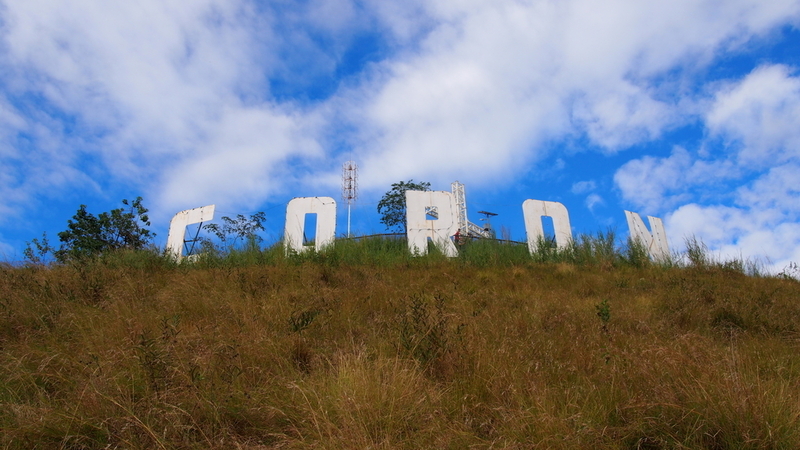 You will find this monument of CORON at the top of Mt.Tapyas like the monument of HOLLYWOOD. It is very easy to go hiking at Mt. Tapyas and you can see this monument close like this. It can’t tell that the grass is high like it actually is. If you want to see it from this position, you need to elbow your way through the grass. If you go in the morning, the view and the color of the sky is very different from its color in noon and it is beautiful. Mt. 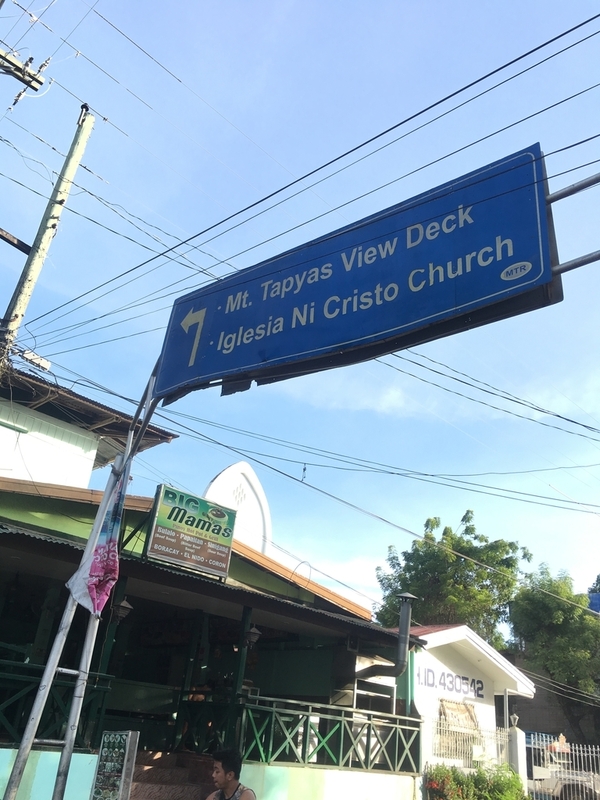 Tapyas is 210 meters tall, but the view from the top is incredible. 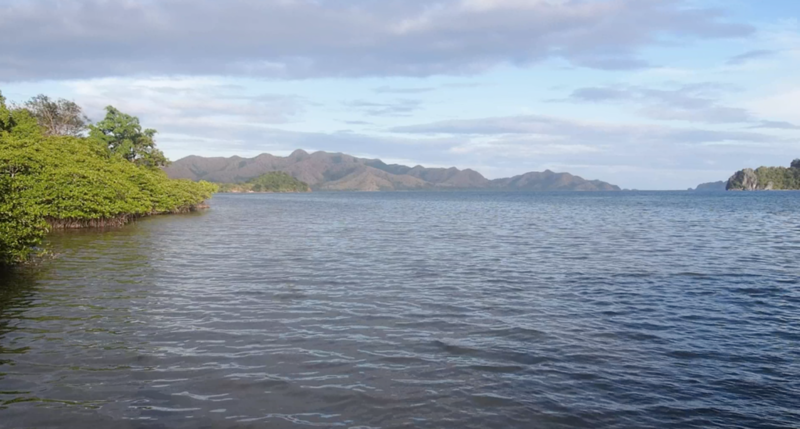 You can see many islands around Busuanga island. I hiked twice — once in the morning and once around noon. I recommend both views. Mt. 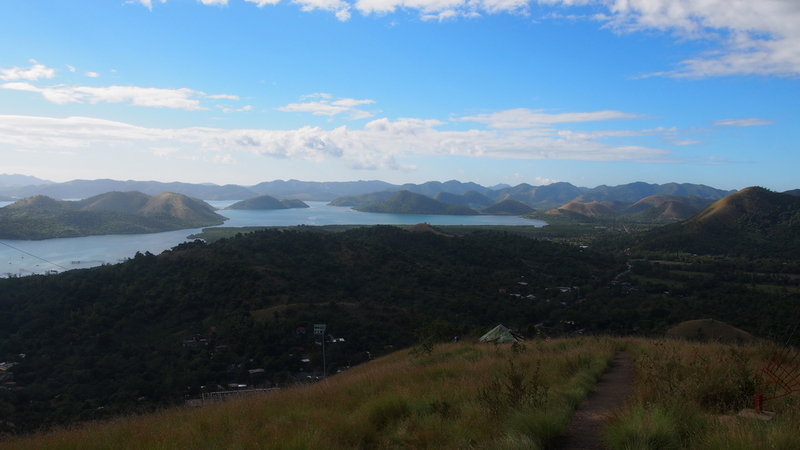 Tapyas is the second highest mountain in Busuanga, you walk up the paved stairs and it is very easy to hike. 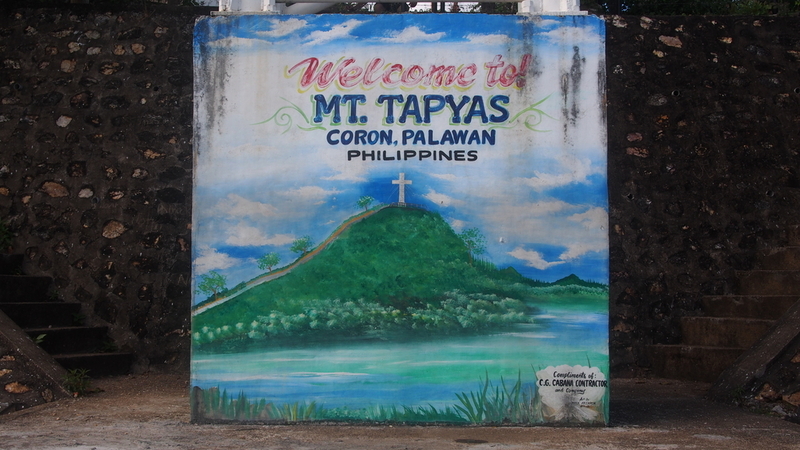 Also Mt.Tapyas is one of the sightseeing spots. 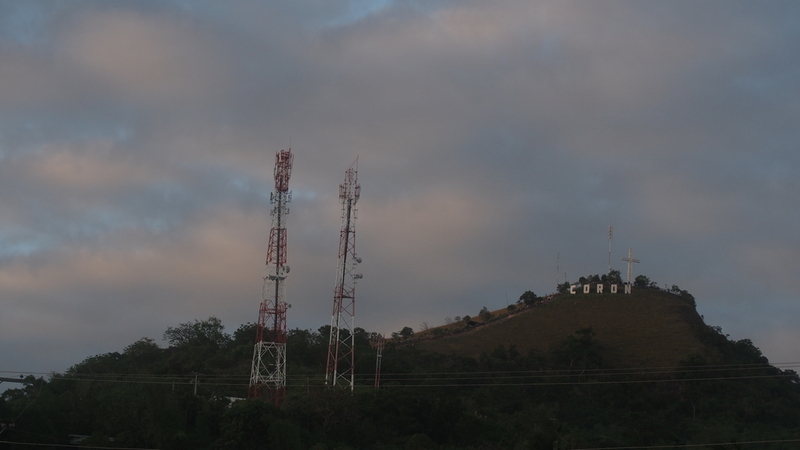 There is the sign in Coron. You should go there to hike! ■ How is the hot spring, Maquinit? 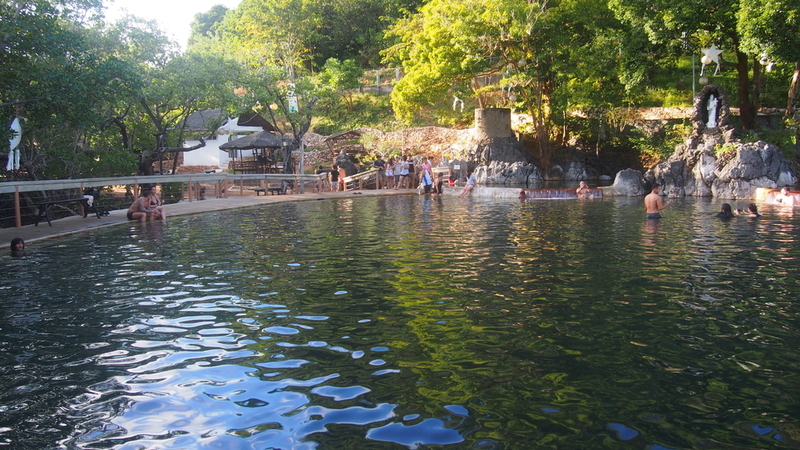 There is a hot spring called Maquinit in Busuanga. We wondered why there is a hot spring and whether Mt.Tapyas is a volcano or not. We went to the hot spring by tricycle, and the cityscape changed dramatically. The tricycle goes on the rough road. The price of hot spring is about 200 pesos (4USD 2018.9.28) . The temperature of the water was perfect! 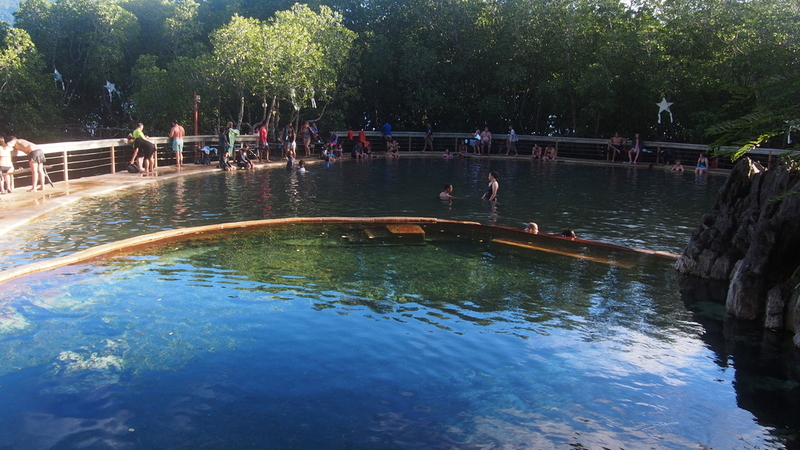 The hot spring is surrounded by mangroves and it is facing to the beautiful ocean. The view is also just perfect. But we had to go back to the hotel and took the same road and the tricycle made sand dust so we had to take a bath anyway haha. 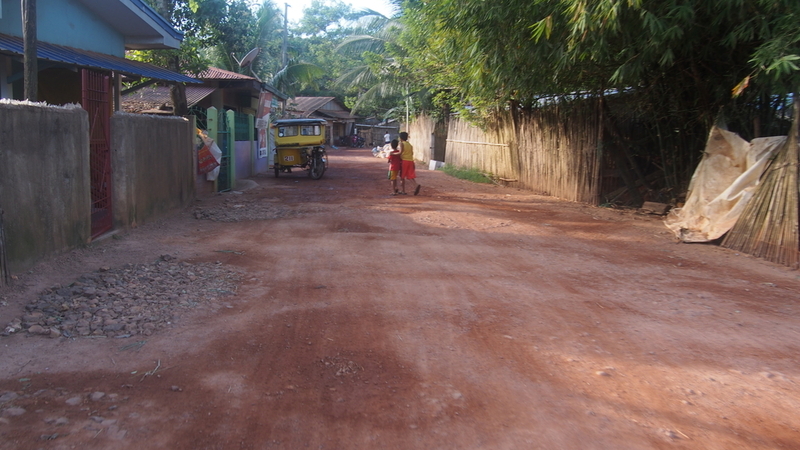 In one of the corners of Busuanga facing the ocean is a marketplace. The marketplace is not improved like a shopping mall but there are some shops such as restaurants and tourist things on the red-sand ground. A lot of tour boats stay here. You can see the beautiful sunset here. 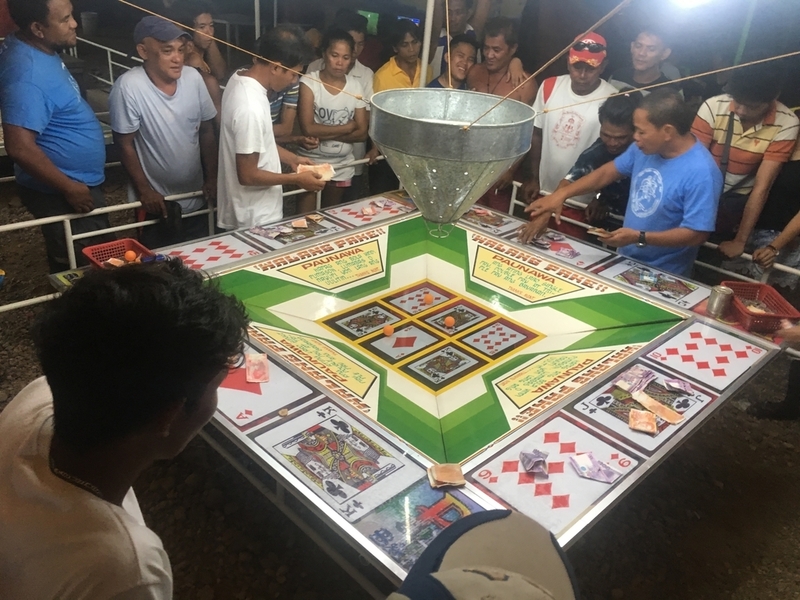 People gather here at night to play games. They seemed to bet which trump card the balls stop on. 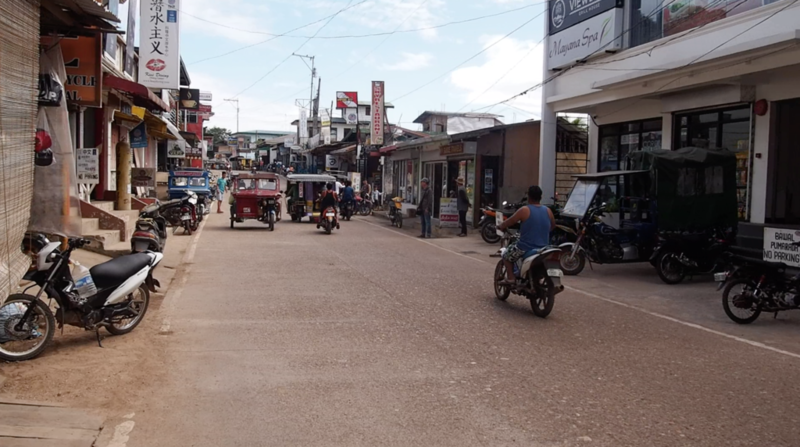 Sightseeing spots are pretty close to the center of Coron town so it is not difficult to get to those spots if you take a tricycle. Also, tricycles are everywhere. I will write about the tour in the next article.